Skype Gift Card is a prepaid card that you can gift to your online friends to help them connect with you. 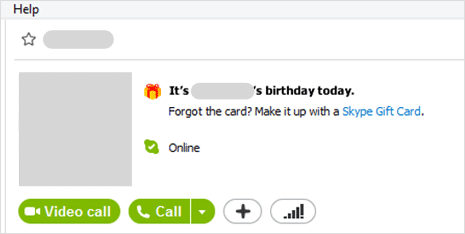 New version of Skype 6.2 show “Skype Gift Card” option on birthday of a contact in your Skype profile. 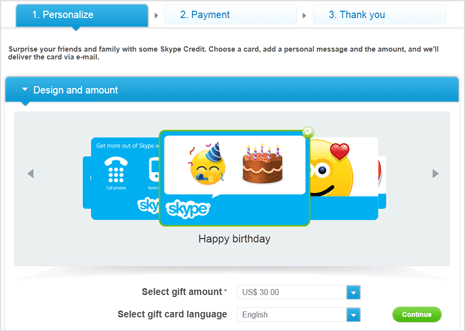 Besides gifting Skype credits on birthday, you can gift Skype credits to anyone using email address. Receiver need not be an existing Skype user (as email ID can be used to register new Skype account and then use gifted Skype credits for free calling of that value). 1. If you are using latest version of Skype software, then you can get started clicking “Skype Gift Card” option next to contact name on their birth date (as seen in image below). 2, You can also buy Skype Gift Card anytime from Skype Shop using this webpage URL: shop.skype.com/skype-gift-cards/ directly. Here you can customize the Skype Gift Card according to the recipient friend. First select design and theme for the card among options like: Happy Birthday, Thank You, Big Heart, Happy Holidays, Anytime Credit and so on. 3. Then select the gift amount and gift card language. Irrespective of selection currency, the gift card will be redeemed and exchanged in the recipient’s local currency. 4. 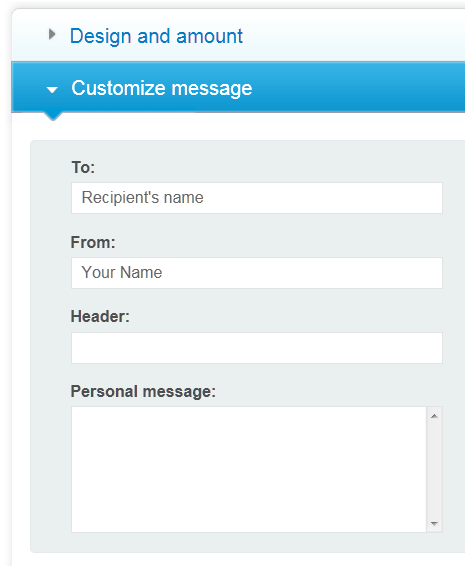 Then type customize message for your friend and other delivery details. Follow up with payment completion and your Skype Gift Card will be delivered within 24 hours from the time you made the purchase. Best part, Skype Gift Cards are universal: your recipient friend can pass received gift card with other friend as long as credits have not been redeemed. This can be done by either forwarding the email containing the Skype Gift Card or providing the unique code associated with it.